You all know how much I love my matte neutral eye shadows. They’re imperative in any collection, and incredibly versatile. The fact of the matter is, you don’t need a huge 10, 15, or even 20 shadow palette to cover your bases. Sometimes, it only takes six! The Urban Decay Naked Basics palette is not new by any means, but I feel like it’s the most underrated of all the Naked palettes. With five matte neutral shadows, and one shimmery highlight, you’ve got everything you need to create looks for every mood. The six shades lean pretty cool toned, with a good range from very light to pitch black. You may even recognize these shades from full-sized Naked palettes. At only $29, this is a great way to add the higher-end shadows to your collection on a budget… and ones you know you’ll use. Despite only having six options, I never feel like I have to go into another product to finish the look. As with most Urban Decay eyeshadows, each shadow is fairly pigmented, even the lightest shades! With primer, these last all day without fading or creasing. The velvety texture is very easy to blend, both alone and with each other without getting muddy. You can go super light for every-day wear or bold and smoky, and you’ll get the same ease of application. The packaging is also very travel friendly, with a sleek case and full mirror inside. This is definitely a travel must-have, since you can get so many different looks out of the small product. 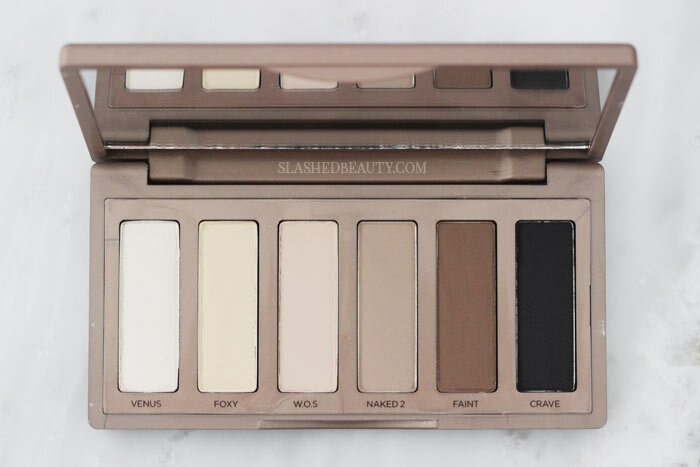 In my opinion, one of the biggest challenges the Naked Basics palette faces is convincing beauty lovers that it’s enough. That’s why I’m here to show you four looks I love creating with the palette for any occasion. 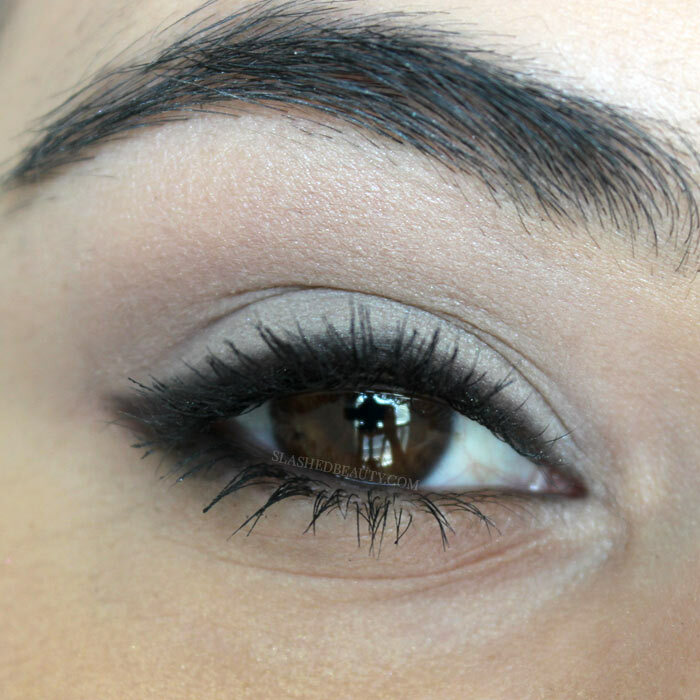 This is a great 5-minute look that adds light definition to the lids, and a slightly smoky liner look. 1 | After priming the eye, apply Foxy all over the lid. 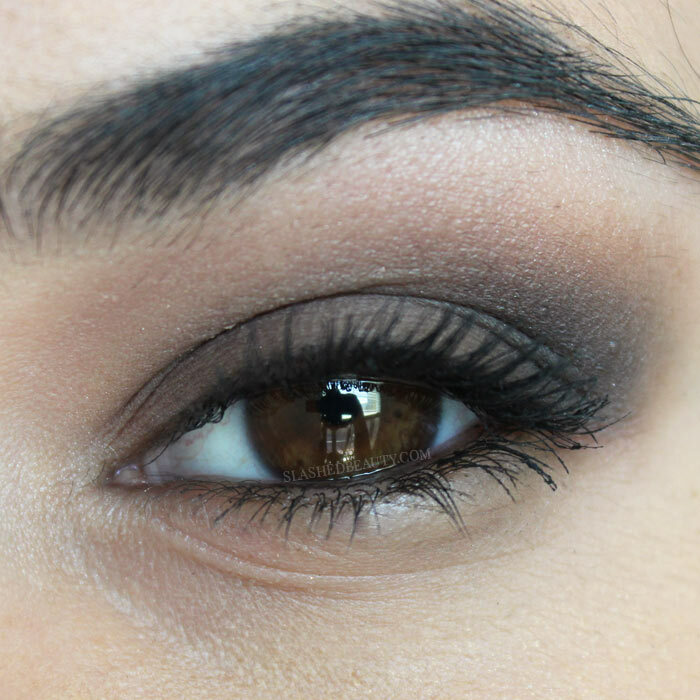 2 | Next, use Naked 2 in the crease and blend upward toward the browbone. 3 | Highlight the browbone using Venus. 4 | Fill in the inner 3/4 of the lid using Venus. 5 | Take Crave on a small flat brush to line your upper lash line, and outer corner of the lower lash line. Bring the corner to a point like a soft wing. A classic combo for every-day occasions, this is perfect when you’re heading to class or work. 2 | Next, highlight the brow bone and inner corner using Venus. 3 | Apply Naked 2 as your transition shade in & above your crease with a fluffy brush. 4 | Use Faint as your outer corner color, blending slightly into the crease. 5 | Pat W.O.S. onto the lid. Now we’re getting a little more sultry, but this is still wearable for day-time. 2 | Use Naked 2 as your transition shade in the crease and blend slightly upward. 3 | Pat Faint all over the lid. 4 | Use Crave in your outer corner. Blend slightly into the crease. 5 | Highlight your brow bone and inner corner with Venus. 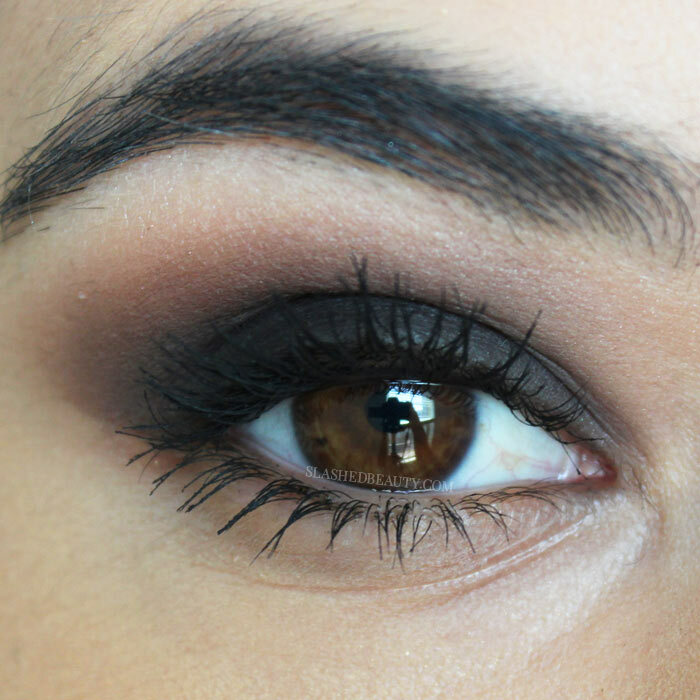 When you want to really bring the drama, this smoky eye is easy & effective at making a statement. 2 | Highlight the brow bone with Venus. 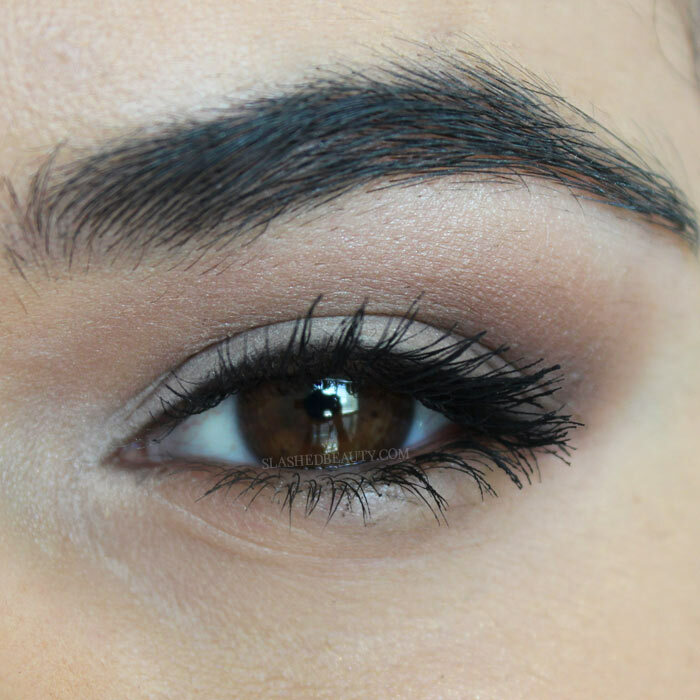 3 | Use Faint as your transition and crease shade, blending slightly upward toward the brow bone. 4 | Pat crave all over the lid. Take the same brush you used to blend Faint and blur the line between the two shades so that it’s a smooth transition. As you can see, the Naked Basics proves that big things come in small packages. I never feel limited when I open it up, and it’s great for reliable neutrals if you need them in your stash. You can get the Urban Decay Naked Basics palette at Sephora for $29. 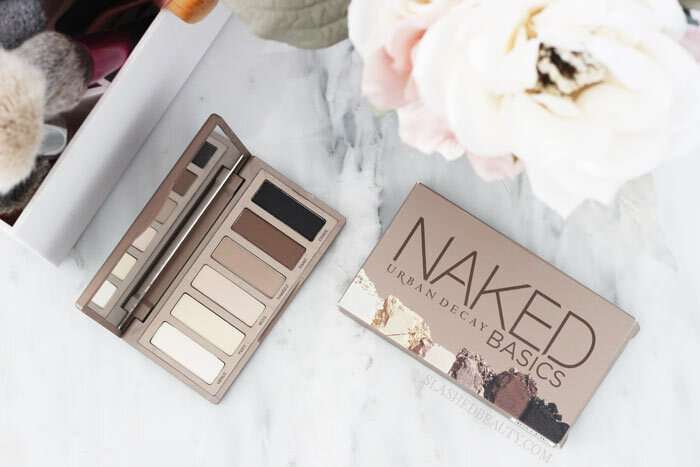 Have you given the Naked Basics palette a chance? I love all 4! I feel like 1 would be peeeerfect for work for me. And if I go out I could create 4 right over. Amazing looks girl! I may grab this before my cruise! Gorgeous looks! I especially like the last one with the dark smokey eye, it’s so sultry and classy. This is a great post to show the variety you can get from this palette! I love that it works from day to night looks! I love the looks you created! 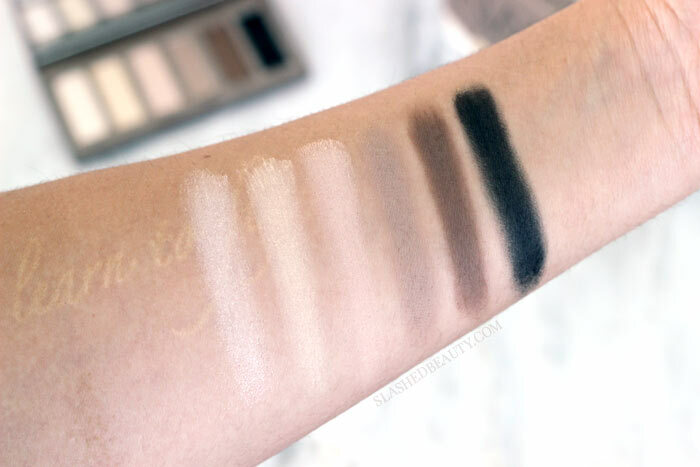 This palette looked a bit meh at first glance, but it’s clearly versatile enough for day and night – I love that you did four completely different looks with it! Great looks with this. I barely use mine which is ridiculous since it’s such a classic. I hope I’ve inspired you to pick it up soon! I love how glam that last look is! I have this palette but I tend to make the same look over and over. I never picked this up because I thought it was boring, but I love the pretty looks you created! May have to take a second look. Wow – I’m tempted to try it now ! 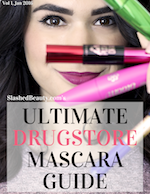 Have you tried the naked 2 basics by chance ? 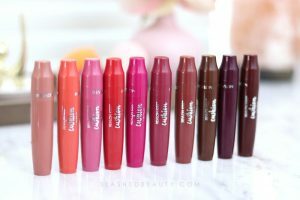 I’ve tried it a couple times when my roommate had it and lent it to me– but I actually own the Revealed 2 from Coastal Scents that is very similar and much cheaper! One of my go-tos!